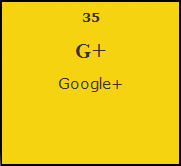 Google + was introduced in 2013 and have soon become the second largest social media network in the world. It currently counts 550 Millions of users, closely trailing facebook. But it seems that many business owners have not yet felt the presence of this big platform yet. Failing to recognise the importance of Google + both in the local and international market can be a source of income that you are ignoring. The good news is that you can start to make good use of it from now. MYP have in part of its Social Administration program to manage google + as well, we understand it google + perfectly and can help you in developing the right strategies to make an optinum use of the social media platform. After talking to you and setting up the targets, you will start reaping benefits from your Google + account in terms of more prospective customers, brand awareness or any other target that you have at mind.